If you are a web reader then you must have noticed that every website has a contact page and now a days bloggers are also adding a contact page to their blogs. I have also added a contact page to my blog you can see it here. 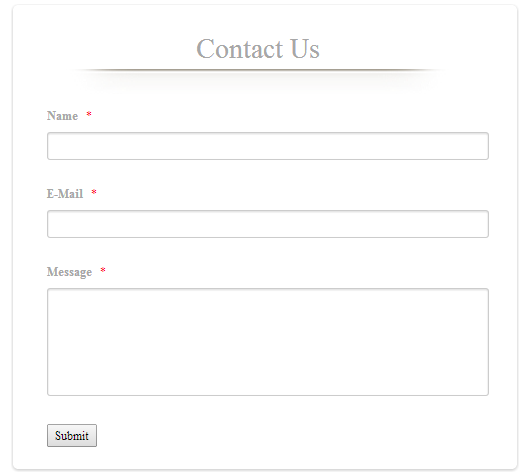 What a contact form is for? 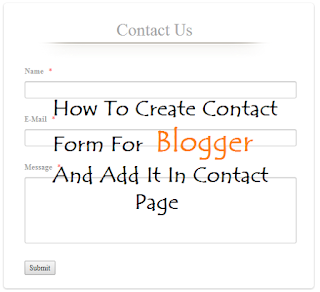 well contact form helps you to get the opinion of your audience about your blog or helps your audience to contact you about any difficulty they are facing in any post you have created. Contact form is so important that every blog must have a contact page, so in this post I'll tell you how to design your own great looking and working contact form and how to add it to a specific page of your blog. The default contact form of blog doesn't looks so good and most of them doesn't work. I will tell you how to design your own contact form which also show a thank you message after a user sends you his message. 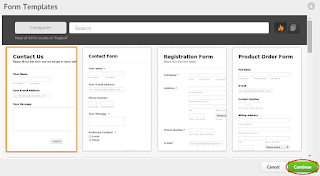 Jot form doesn't require any registration. 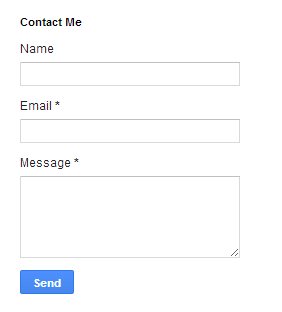 Your own designed form looks good as compared to the default blogger contact form. 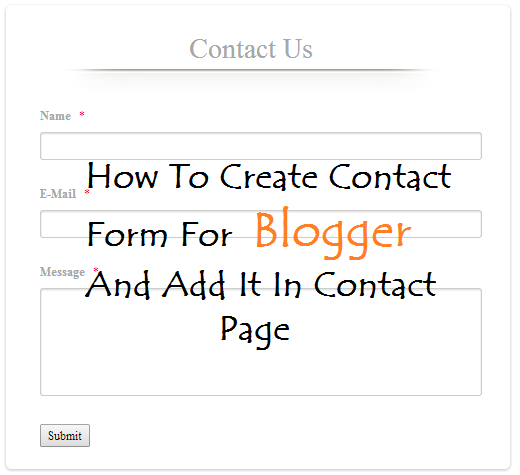 Most of blogger contact forms doesn't work which disappoints audience. 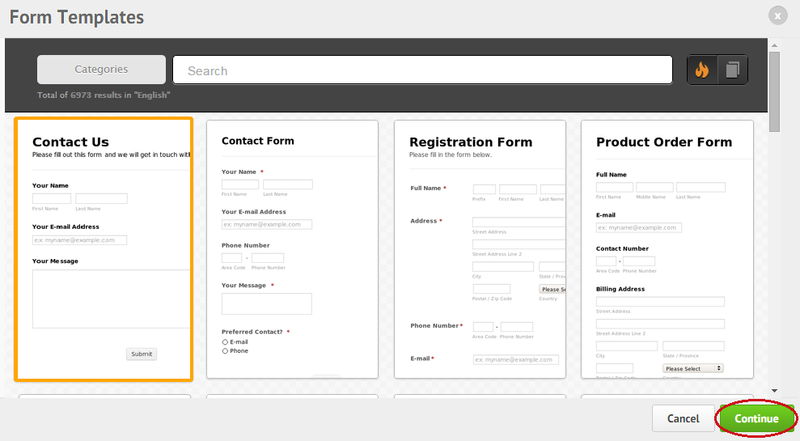 Forms designed at Jotform works definitely. When a user sends you feedback or any suggestion this form shows a thank you message but blogger contact form doesn't. When you design your contact form Jotform asks you about a notifier E-mail where all E-mails will reach for response. You can also set a captcha or security text as to protect yourself from bot e-mails. Step 1: Go to JotForm and Sign-up for a free account. 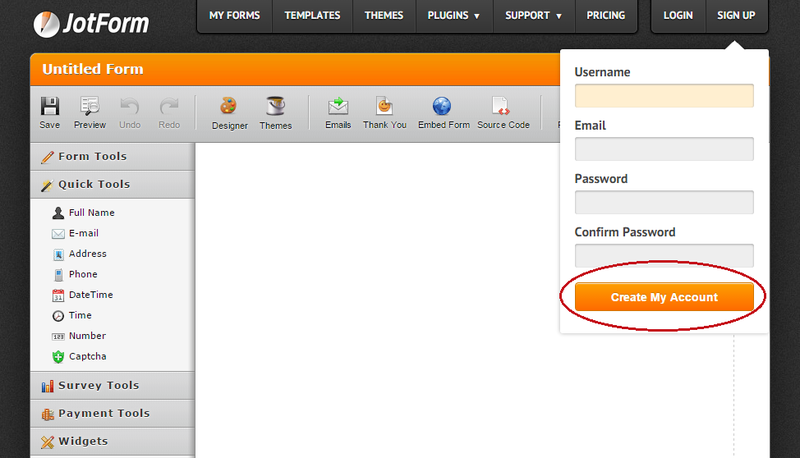 Step 2: Now log-in to your JotForm account. 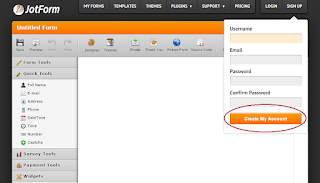 Step 3: Click on Create Form. Step 4: Choose an option to start creating your form. You can start from blank in which you will have to start from empty space or you can use a template which is created by Jotform. I am choosing Template. Step 5: After selecting Use Template you will see some samples choose the first one and click on continue. 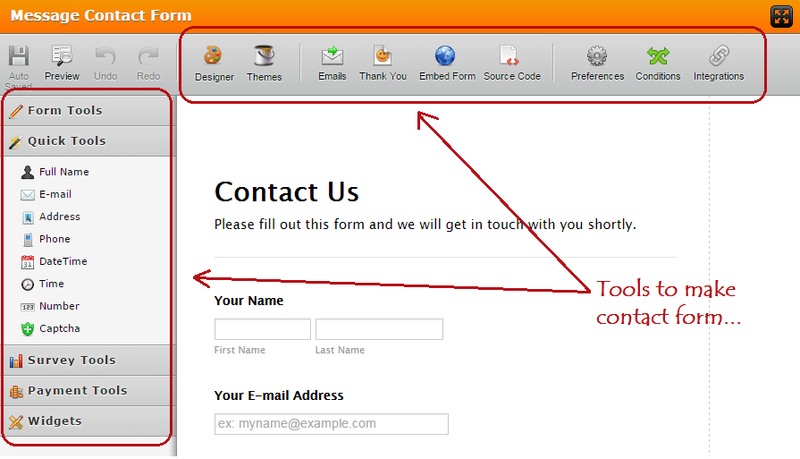 Step 6: Use tools on left side of page and on the top to design your form. Tip: You can use designer tool above to change color or your form, font, background color and alignment. 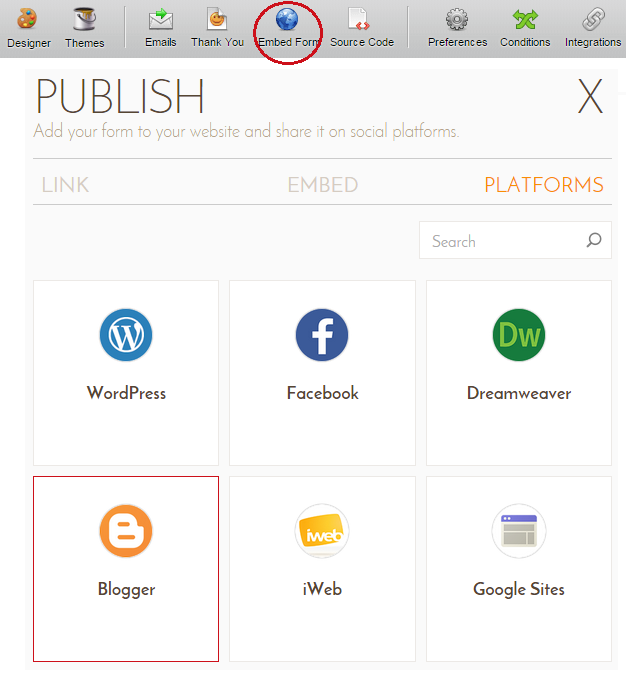 Step 7: Click on Embed form and select Platform option. 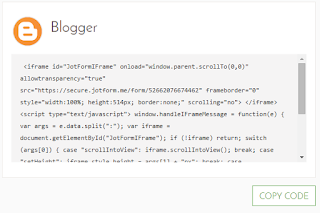 Choose blogger as your platform. 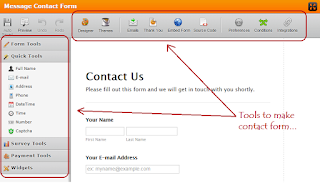 Step 8: Click on Copy Code to get your form code. 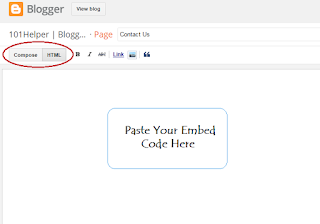 Step 9: Go to Blogger Dashboard > Pages > Click on New Page or Edit an existing on. 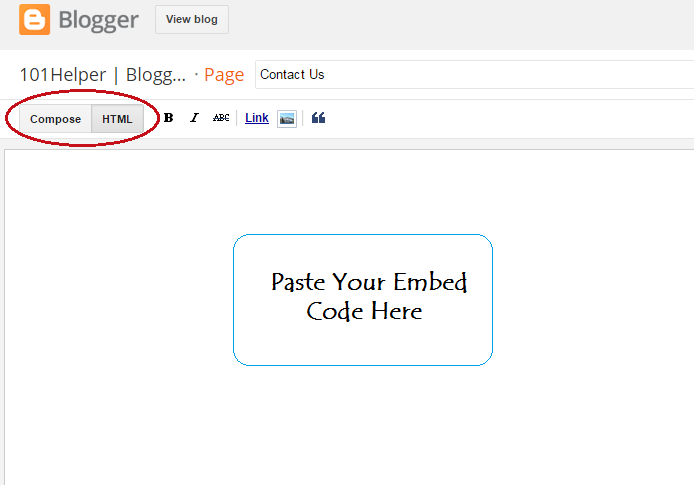 Step 10: Switch to Html editor and paste the embed code of your contact form here. 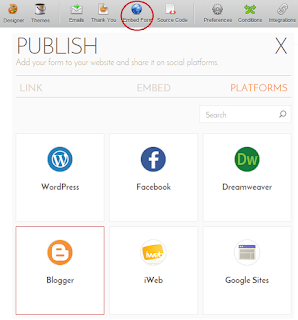 Step 11: Publish your page and you are done! Thanks for visiting 101Helper. Share this post with others and leave a comment below to give your feedback. Follow and subscribe to get blogger tutorials in your inbox.